​Did You Get A PS4 Or An Xbox One? The next-gen dust has settled enough to begin to get a sense of just who picked up which new console. So, we thought we'd just ask. 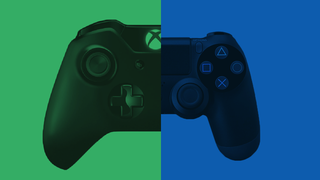 Both Sony and Microsoft are crowing about various sales numbers based on various metrics. But let's leave all that aside for a moment. If you read Kotaku and picked up a PS4 or an Xbox One sometime in the last month, I'm curious to hear from you.